Creating a look/feel which can be carried through all media from print,web to email template, is an important aspect in maintaining a brand consistency. Getting it done right at the start can save problems down the road. 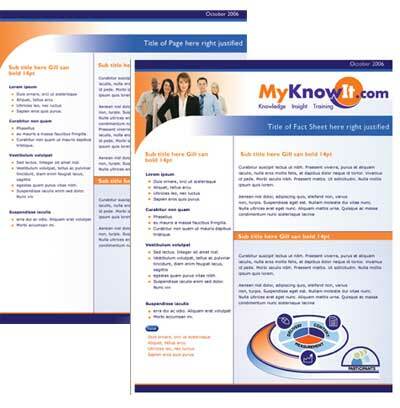 Building a translatable look feel is just what we have done this year for St Louis based MyKnowIt, an online training provider. We have worked closely with them and created the company identity, web site, software interface and powerpoint template. Our latest creation using the company brand elements is a brochure.